Tony is available to visit schools, libraries, conferences and similar events to give presentations about his work. These can be adjusted to suit all age levels, from Kindergarten to college students to professionals. With tight funding these days it can be hard arrange author visits, but thankfully with today’s video chatting technology bringing an author to the classroom can be done at the touch of a button. The Greatest Adventure, don’t hesitate to reach out. 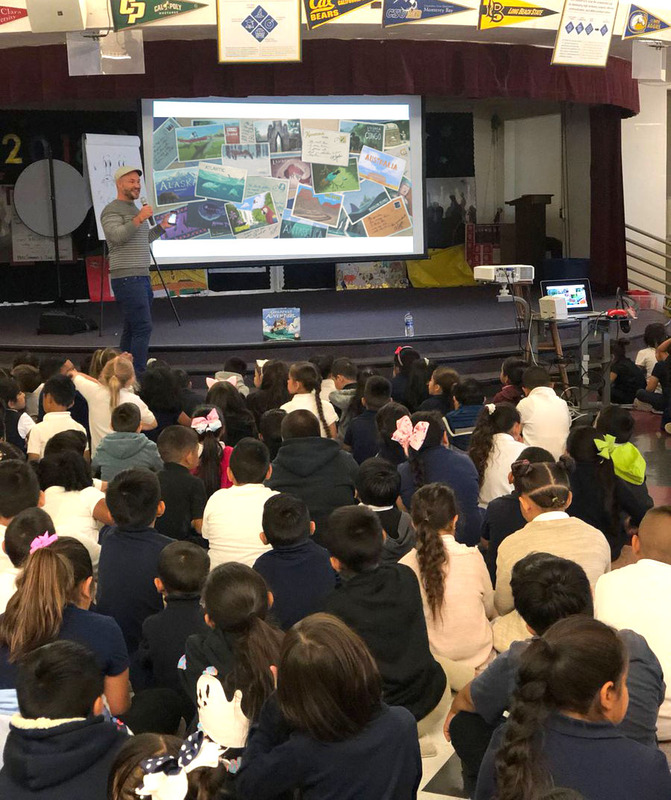 Visit to Edenvale Elementary School, San Jose, CA. When I meet with kids I share how the things I loved as a kid, drawing and looking for bugs, are still the same things I love now, and how I channeled that love of art and nature into a career in animation and children's books. I start off by showing some of the art I made as a kid. Then I talk about the steps I took to become a professional author and illustrator. I read The Greatest Adventure, my debut picture book, and share some of the stories behind its creation. I discuss my process of writing and illustrating, and give a drawing demonstration with some quick, simple drawing lessons. Tony presenting at Texas A&M University for the Student Conference on Latinx Affairs. In these sessions I discuss the details of my creative process, from seeking inspiration to story development to illustration techniques to working with deadlines. I can also share the story of my unique path to publication, and discuss how my Latino heritage has influenced my perspective and found its way into my work. Tony is always happy to do book signings at his speaking events. A signed book is a fun memento and can serve as inspiration toward a child’s own goals. Tony has absolutely nothing to do with book ordering or selling. Many bookstores provide education discounts, so selling books can be a way for schools and libraries to generate extra money. Contact your local bookseller for more information to learn how you can purchase directly from publishers with an education discount.